Hillary Clinton posted and shared information that was classified because it could endanger “life or physical safety” on her unprotected email system. 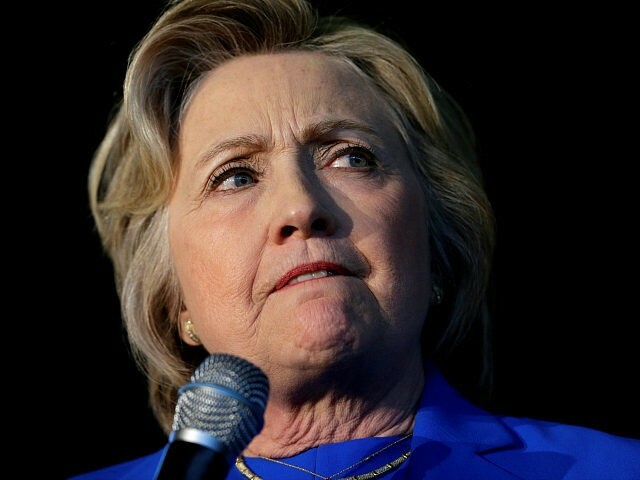 These new revelations could provide further justification for the FBI to recommend indicting Clinton for violating the Espionage Act, which forbids the mishandling of national defense information through “gross negligence.” These revelations also add to a growing scandal for Clinton regarding her exposure of protected intelligence information, which recalls the Valerie Plame scandal that engulfed the George W. Bush administration. Breitbart News reported Thursday that Clinton disclosed the names of CIA-protected covert intelligence sources on her private email server, which was highly vulnerable to attack and which was breached repeatedly by Russia-linked hacker attempts. Clinton shared names on her private server that have been marked with the highly classified “B3 CIA PERS/ORG” redaction code, which protects the identity of covert agents in accordance with the Central Intelligence Act of 1949. Now, in addition to the CIA-protected redactions, we know that Clinton was sharing information that directly put lives or safety in danger. There are examples of B7 (F) redactions in Clinton’s emails. On July 21, 2012, State Department special agent for diplomatic security David Gallagher sent an email to colleagues with the subject line “[Redacted] Update.” The message begins with “Good morning all,” then its contents are completely redacted by the Department. The Department redacted this information with the B6, B7 (C), and also the rare “B7 (F)” classification code, meaning that the information would endanger life or physical safety. Gallagher sent another email later in the day that was completely redacted with B7 (C) and B7 (F) classifications. These emails were sent to top Clinton aide Cheryl Mills, who forwarded them to Clinton’s private email address “hdr22@clintonemail.com” as well as to top Clinton staffers Huma Abedin and Philippe Reins. “Thank you cheryl,” Abedin replied to Mills along with a redacted message. Stringer then sent a long block of information that is completely redacted with a B7 (F) code. Or we can try and clean up the mess and throw millions of dollars at it later having potentially lost significant numbers of people. I would think that any politician or state official who is aware of these issues would be duty bound to do something about it. I certainly would not wish to see they trying to explain why they didn’t after the fact. I hope that your discussions are fruitful and that the subject gets the attention it deserves.